A new dessert shop will soon unleash it's inspired creations on the masses at Eat Street and make things well....Double Good. If the thought of smooth soft serve ice cream and funnel cakes tickles your fancy then Double Good, coming soon to Kombi Lane, will be your go to sweet stop. Double Good is set to open on Friday August 18th. If you are expecting to find your every day, run-of-the-mill soft serves on the menu then you're in for a shock. There's nothing run-of-the-mill about this place! 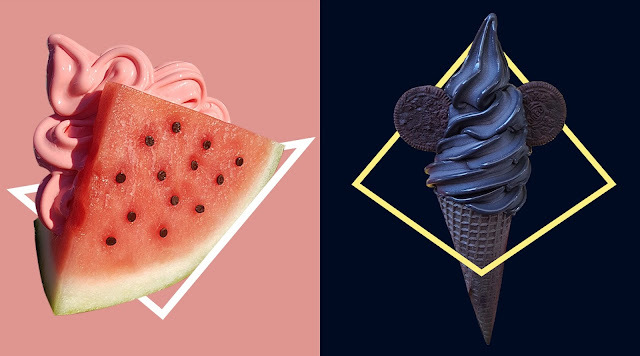 Think watermelon soft slice, served in a juicy wedge of QLD watermelon...or the very intriguing Black Elvis Soft Serve, a black sugar cone filled high with activated charcoal & coconut soft serve. The thing that's really got our sweet tooth aching is without question the funnel cakes. Yes the American State Fair dessert institution will be on the menu but with a Double Good twist! I mean funnel cakes are good...but have you tried them with ice cream piled on top?! Yes! Double Good will feature a 8 flavour soft serve ice cream machine ( a first of it's kind in Australia) and guests will have the option to include any OR ALL flavours piled high in a giant 500g serve on top of their funnel cake. We're talking pistachio, butter peacan, birthday cake, dutch chocolate, strawberry cheesecake, blue raspberry, burnt orange and fairy floss PILED ON A FUNNEL CAKE. Yep...all of our wildest funnel cake dreams are about to come true on August 18th. See you at Eat Street!